Debt.com » Get the Credit Score You’ve Always Wanted » What is Tri Merge Credit and What Does It Mean for You? Understanding how lenders use your tri merge credit report and tri merge credit score to make financing decisions. If you’ve ever applied for a loan, you may have heard the term “tri merge credit” from your lender. Lenders often tell you they need to “review your tri merge report” or “check your tri merge credit score” before you get approved. So, what is a tri merge and how can you check it so you can see what lenders see? What does tri merge mean? The term “tri merge” (also written tri-merge or trimerge, depending on who you reference) is just a fancy term for 3-in-1. Every consumer actually has three separate credit reports and three separate credit scores. You have one report and score from each credit bureau. So, the report and score from Experian are different from the one that originates from Equifax or TransUnion. A tri merge credit report combines the individual reports from the three credit bureaus. Whenever you want to review your credit report, you actually have three reports separate you have to review. The credit bureaus (Experian, Equifax and TransUnion) are all separate for-profit agencies. With a few exceptions, the agencies are not required to share information, so they usually don’t. And although your credit reports should contain the same information, that’s not always the case. As a result, to get a full picture of your credit profile, lenders check all three reports. The 3-in-1 report is what’s known as a tri merge credit report. This gives them a complete view of your credit so they can make an informed decision about your risk as a borrower. How do I check my tri merge credit report? If you want a true look at your tri merge credit report, you can sign up for a 3-in-1 credit monitoring service. This type of service provides monthly or quarterly tri merge reports, depending on the level of monitoring you select. You also receive alerts about changes in each of the three credit reports. This type of comprehensive credit monitoring is perfect for the credit-obsessed. You know everything that’s happening with your credit 24/7. But it’s also the costliest type of credit monitoring. For many people, monitoring a single report may be enough. As mentioned above, the three versions of the report should say the same thing. 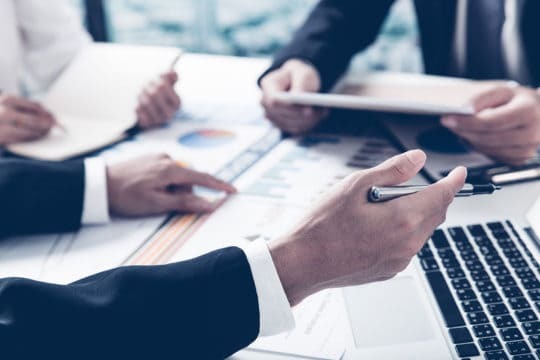 If you’re willing to accept the slim chance that one report might have a credit-damaging error or remark that the others don’t, you can opt for single-bureau credit monitoring. On a side note, there is a way you can check all three of your credit reports once per year for free. The Fair Credit Reporting Act is a federal law that regulates credit reporting. It has a stipulation that all consumers are legally permitted to review their credit for free once every twelve months. 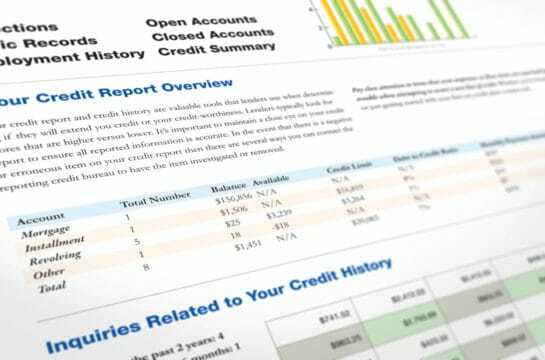 You can go to annualcreditreport.com and download all three bureaus’ reports once per year for free with no strings attached. Just note that while that free service lets you review the three reports once, you don’t get continuous monitoring. If changes or errors occur after you checked the reports this year, you wouldn’t find out until next year. This is why people opt for credit monitoring, so they can have more visibility and control throughout the year. Is there such a thing as a tri merge credit score? Tri merge credit score is a bit of a misnomer. In addition to maintaining proprietary versions of consumer credit reports, the bureaus also have their own credit score formulas, too. These scores should not be confused with your FICO credit score. That’s the original credit scoring model created by Fair Issac Company. It’s the model all the other companies used as a base to create their own scores. Lenders use FICO in 90% of lending decisions. To try and compete with FICO, the credit bureaus created the VantageScore. This is really the closest thing to a tri merge credit score that exists. It’s basically the three credit bureaus agreeing on the credit score assigned to each consumer. However, it’s not a blend of the three credit scores from each bureau. It’s a different formula entirely. VantageScore is currently on Version 3.0 and it ranges from 300-850. This gets you as close as possible to what most lenders use during a credit or loan application. Just be aware that it’s usually downright impossible to know exactly what a particular lender or creditor uses. Although 90% of lenders use FICO, 10% use other scores. They may use VantageScore or Beacon OR they may have their own scoring model. In most cases, they don’t tell you exactly what they use. Still, at the end of the day, good credit is good credit in most cases. If you take steps to improve one credit score, the others should improve, too. If one credit report is clean and free of negative information, the others should be too. Unless, of course, one report contains and error that the other two don’t. If so, it’s time for credit repair.